If Saturday served to remind us that winter is not yet clear of the rear view mirror then Sunday was definitely a sign that it's days are severely numbered. 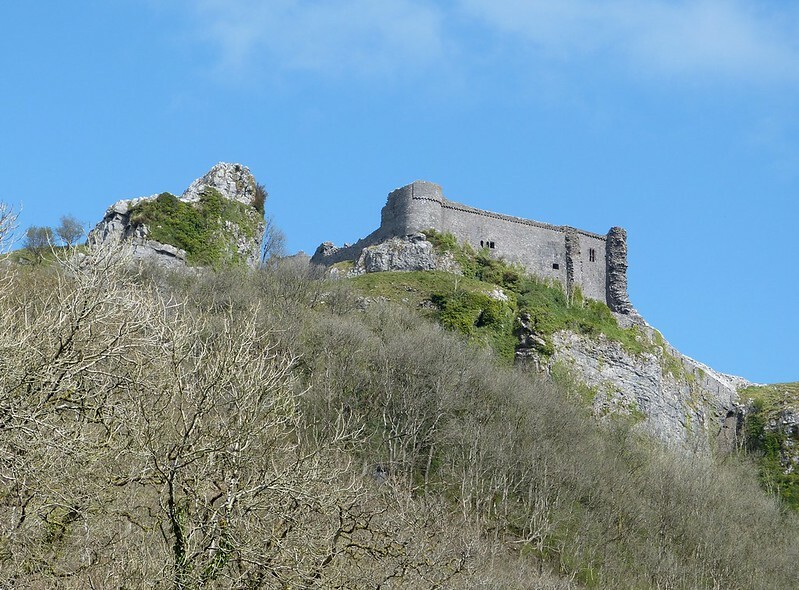 Overnight the clouds had cleared leaving us to enjoy sunshine and blue skies on the drive north towards Carreg Cennen castle, somewhere we've not visited since March 2012. Not much has changed in the intervening years but turning up a month later has clearly had an impact on the local wildlife. Where previously spring migrants had still been several weeks away this time we were greeted by numerous calling Chiffchaffs and two Swallows swooping overhead. It was interesting to note however the impact of being further inland with Daffodils still in flower and fewer Willow Warblers compared to our coastal home. 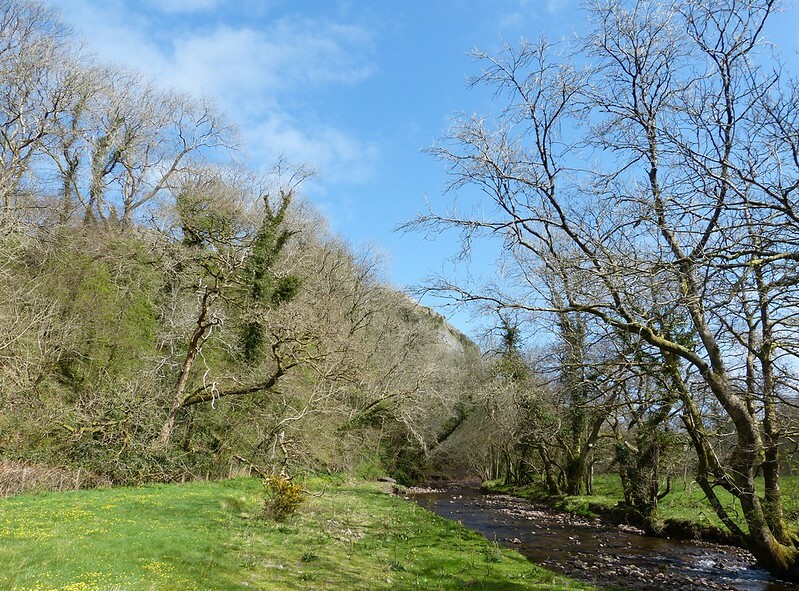 Our plan for the day was to take in a circular route encompassing both sides of the neighbouring valley starting in the vicinity of Pantyffynnont. Here two Red Kites and two Buzzards were being harried by the local Crow population, choosing perhaps easier targets than a pair of Ravens which look to be nesting beneath the castle ramparts. Dropping down towards the valley bottom a small stream created something of an idyllic microclimate with temperatures at least a couple of degrees warmer than the surrounding environs. 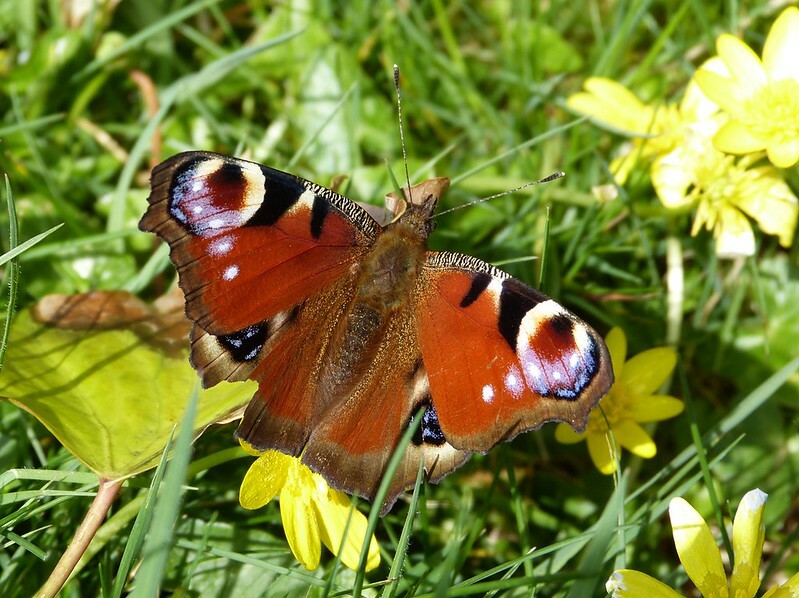 This had clearly encouraged Peacock butterflies onto the wing with several flitting their way between small clumps of early flowering Bluebells. It was interesting to note the presence of at least two Dark-edged Bee-flies here as well, especially after having found one at home a couple of days earlier. I'm presuming this surge in sightings is just as a result of me looking more closely for the species rather than an increase in numbers generally, though after such a mild winter who can say. Sadly they were far too quick on the wing for me to get any photos, as was a Mink who gave superb views as it ran along the opposite bank. Distinctly darker than an Otter with a significantly stubbier appearance it was not a welcome sight given their destructive impact on native species such as the threatened Water Vole. The Wildlife Trust of South and West Wales is currently gathering records and carrying out focused trapping of these elusive creatures so I have reported my sighting here. Climbing steeply once more we were soon onto open moorland above Cwrtbrynbeirdd where a single male Orange-tip butterfly was patrolling its territory before an unidentified Pipit stopped me in my tracks. 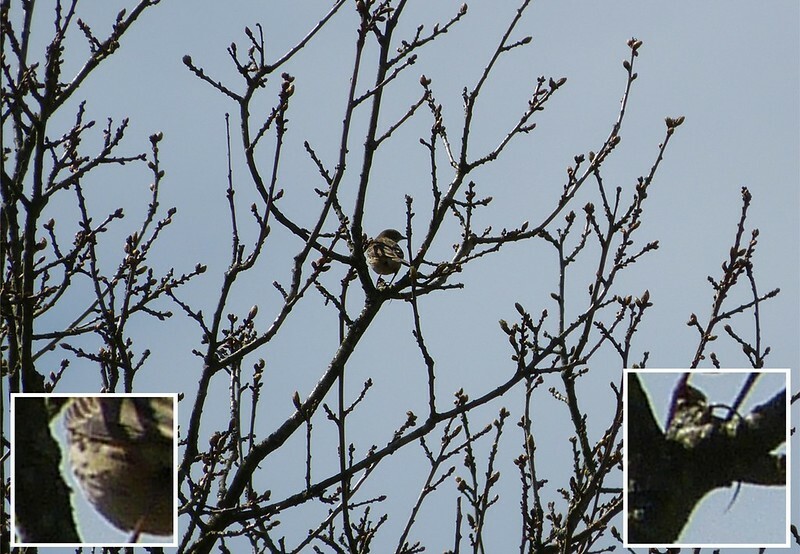 Seen alighting at the top of a tree my initial thoughts went straight to Tree Pipit, but without its characteristic call identification was going to be difficult. Conscious that even the poorest of record shots can be of use in these situations I took the following photograph moments before it took flight and headed strongly away towards the north-east. Close inspection of this less than brilliant image reveals an extremely long back claw and heavy markings along each flank, both distinguishing features of Meadow Pipit and not the rarer Tree Pipit. Less a case of the one that got away and more like better prepared for next time. 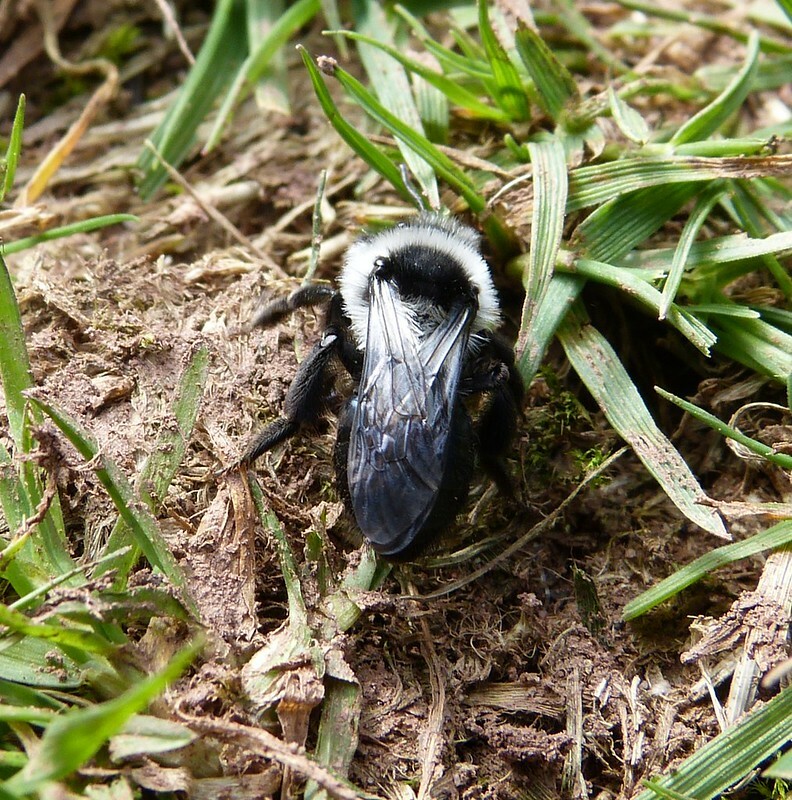 Another interesting sighting came along a farm track beneath Beddau'r Derwyddon where exposed earth banks had attracted several almost entirely black bees. 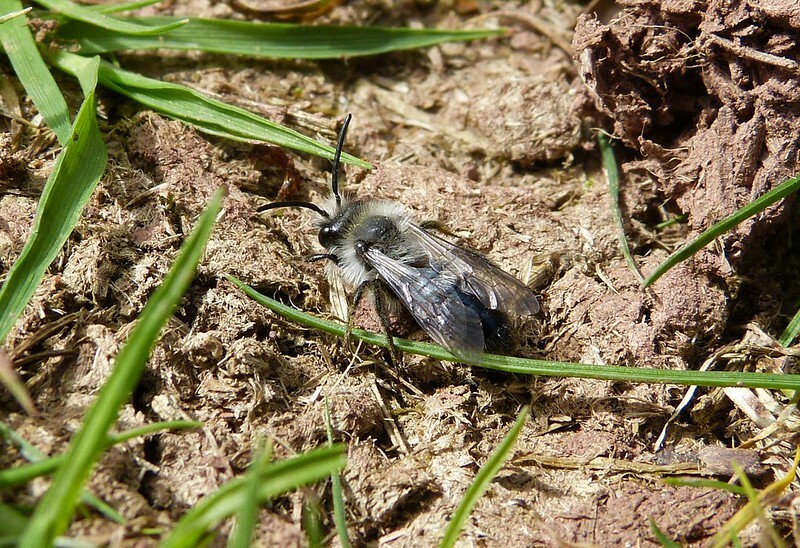 Closer inspection revealed a series of small burrows into the ground identifying these as solitary bees but it took the internet to produce an actual name of Ashy/Grey Mining Bee. 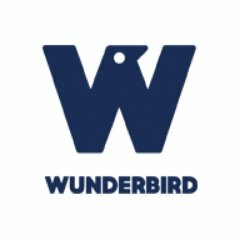 As we watched it became evident that both sexes were present and engaged in frenzied mating with several of the smaller males mobbing each female. When the latter managed to break free she would burrow into the ground where ultimately eggs will be stored in individual chambers along with a small amount of pollen and nectar for when the young hatch. What did surprise me was the discovery that after mating the males die, a sad end for my fellow man and the probable reason why they were much easier to photograph than the always mobile females. 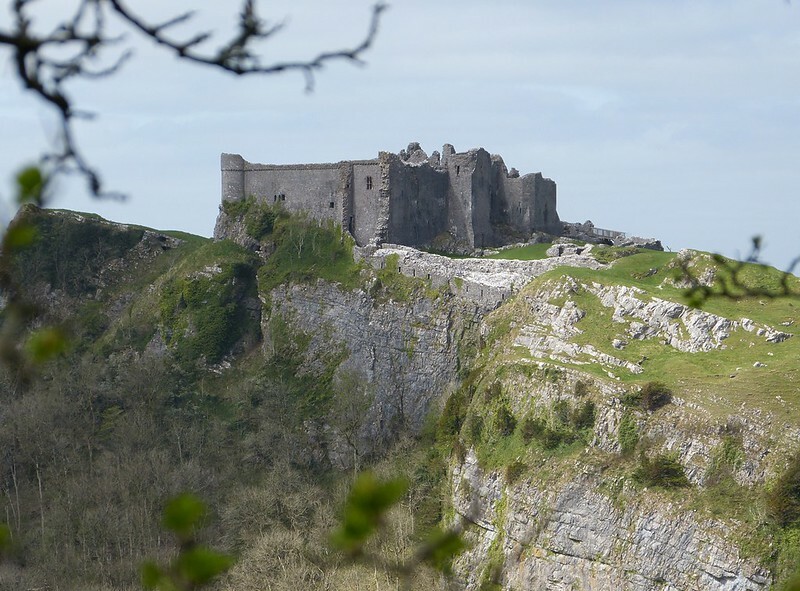 From here views of Carreg Cennen again opened up to us and it would have been rude not to take a few more photos of this imposing structure. Dropping once more into the valley before climbing back to our starting point our final sighting was a pair of Grey Wagtails. One can only hope that if they nest the nearby Mink will not be their undoing. 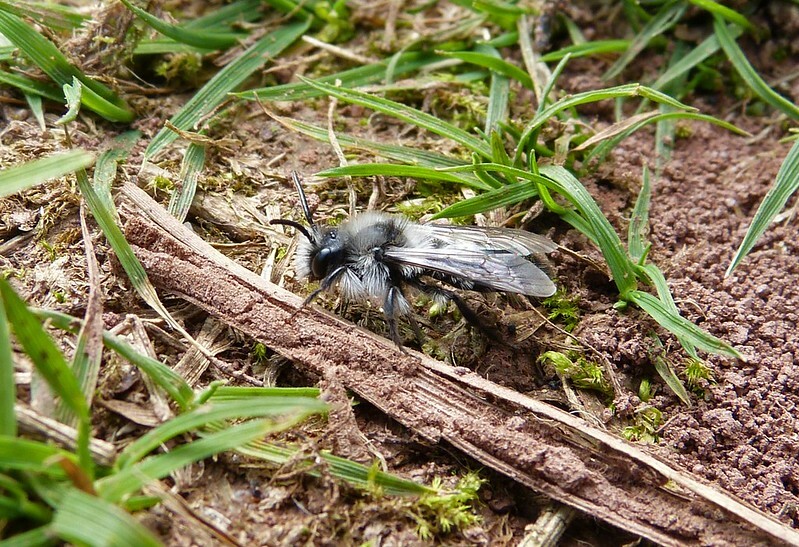 Absolutely superb, the Grey Mining Bee unique, love it.